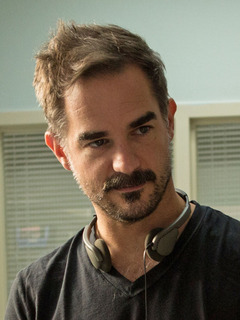 Peter Sattler om Kristen och "Camp X-Ray"
Knowing that many first-time directors stumble with style over substance, Sattler opted to shoot Camp X-Ray as “a very classic, very elegant film” that let the script and performances do the talking. So it wasn't until he met with Stewart and talked through the character of Amy that his vision began to coalesce. “The weird thing about Kristen is that there's Kristen Stewart the star and Kristen Stewart the actor,” he says of his lead. Together, they started asking questions that acted as foundation for the film's main action. Sattler rattles off examples: “Who is this girl? She didn't do that, she did this. OK, what did she do in high school? Was she involved in sports? Was she a virgin?” He says Stewart filled in many of the blanks and added dimension to the ideas he had put on the page. Lane Garrison nämner Kristen och "Camp X-Ray"
MOOALLEM: So what do you think when you see some of these girls, like Kristen Stewart and Jennifer Lawrence, go through what they're going through today? RYDER: I have to say, I really wonder if I would become an actress if I was their age now. 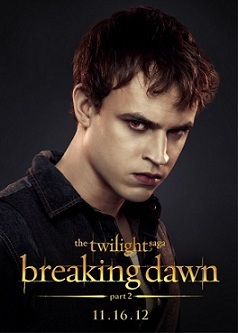 I've only seen part of Twilight , but I've seen their other work and they're both super-talented. I don't know how they do it, though, in just trying to maintain some degree of a personal life and privacy. I don't know how you feel, but when Jodie Foster gave that speech at the Golden Globes, I heard people who were like, "Why is she talking about privacy when she's on stage?" But I have to say, I got what she was saying. Look, this is a story in Interview, so I do get how people complaining about privacy when they're actually doing very public things can come across as a bit hypocritical. But I do feel so lucky that I got to get in at least 15 years pre-whatever that show is called where they follow you around and then put it on the Internet. That stuff just didn't exist before. I also have yet to make sense of reality shows and the whole famous-to-be-famous thing where I don't really know what they do, but they're very famous—I know that's a whole other thing. But in terms of what happened to me or to other people who are friends of mine who have gone through difficult times where it's really publicized . . . You know, it's hard—and I do have feelings about it. So it's a combination of my heart goes out to them, but then at the same time I know that they don't know anything different. Kristen bärde ett utav Osman Yousefzadas plagg på Nickelodeon Kids Choice Awards i söndags. Grazia Daily: How did it come about that Kristen wore your design? Osman: Her stylist took a liking to it, pulled it and and she loved it. I got lucky! It is always an honour when anybody takes to your designs. When it finds a home on someone like Kristen Stewart, I consider myself humbled and lucky. Grazia Daily: Did you work with her stylist? Osman: I have a showroom in LA [laChambre] that works directly with her stylist. Grazia Daily: What is it about Kristen that made you want to dress her? Osman: Kristen has a strong presence but in that there is restraint, there is an element of mystery...intrigue. She feels like a natural extension of my brand so it makes sense to me to see her in my clothes. Grazia Daily: Did you meet Kristen? Osman: Wouldn't that be lovely? But no. I imagine she'd be really cool. 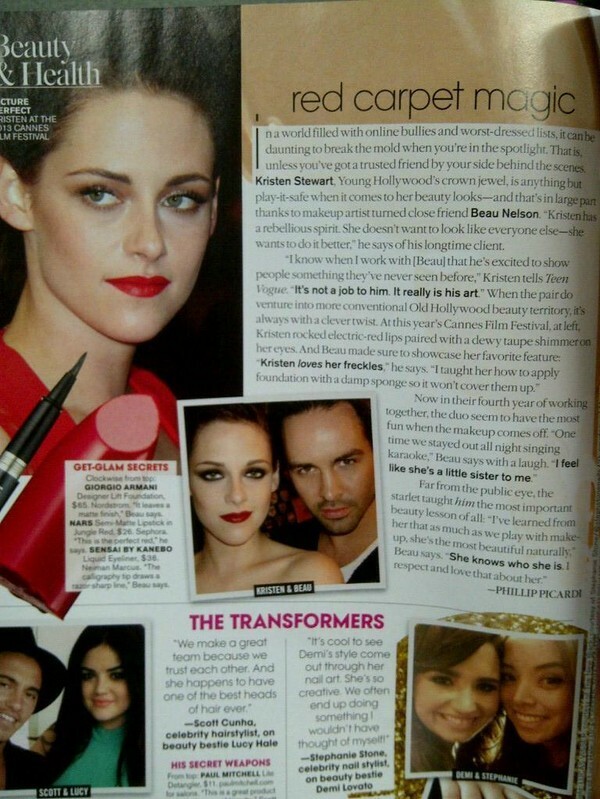 Grazia Daily: How did it feel when you saw Kristen wearing your design on the red carpet? Osman: I woke up to wonderful Sunday morning with Twitter going crazy with pictures of Kristen looking stunning in our Pre-Fall check. She looked amazing! Grazia Daily: What's your verdict on the way she styled the look? Osman: It was cool and no fuss. I imagine her to be that way too. Stephenie Meyer pratar om oförglömliga minnen med Kristen och Robert. Teresa Palmer är aktuell i filmen Warm Bodies. Have you ever been mistaken for another celebrity in public? Kristen Stewart, all the time. So what happens? Have you ever thought about just rolling with it and being like "Yeah, I’m Kristen, what’s up?" I have been recognized for her on the street, and I've just gone ahead and signed her name. I've been like "You know what, whatever, I'm just gonna sign her name," because the person was so crazy excited and so I decided to just go along with it. How often does that happen? A lot? No, I've only done it once. Usually I'll be like "Oh, I'm sorry to disappoint you! You actually wouldn't know who I am, but whatever, I can totally pretend to be her!”"
Frågan är vid 5:59 och Stephenie nämner Kristen vid 7:21. "It was a big evolution in style for me to grow up and say, 'I need to take fashion seriously for my job.' I have a stylist now, and she's trying to get me to wear more revealing stuff. She's Kristen Stewart's stylist," the Emmy winner says, referencing Tara Swennen. "I go there and see all this amazing funky stuff, and I know it's for her. If I get K-Stew's castoffs, that's all right with me." Jim has yet to meet co-star Kristen but he is obviously well-aware of her work. "No, I've never met her, so it'll be exciting," he enthused. "I know who she is. I've seen her in some great movies. She did a film called 'Adventureland' that I really liked." And how exactly will his character, Elizabeth's and Kristen's all fit together? "Elizabeth Banks plays a therapist who is trying to coax me—who's been hired by my family to coax me into making shoes again. I'm sort of a retired shoe artist. I now work in, like, a Payless shoe store. I've given up on shoes all together. So they bring in Kristen Stewart's character as a muse, and I fall in love with her feet basically. I don't even look at her from the knee down until [gestures at feet]. I saw some audition tapes, her feet look pretty amazing." "She was doing foot training," he said. "Working those muscles." 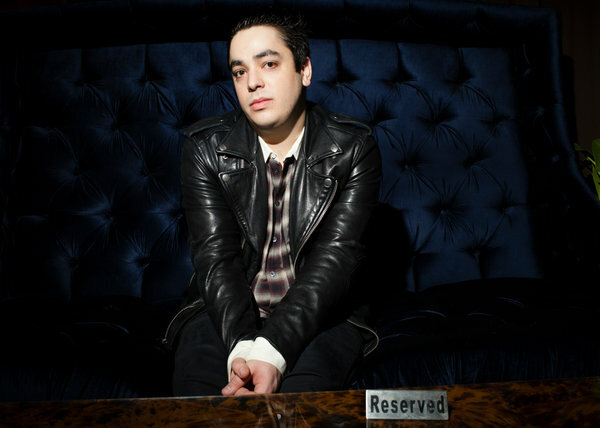 Last fall, Mr. Doyle returned to the same space (Beatrice Inn in the West Village, NYC) on his 26th birthday. It had the same name but was now Graydon Carter’s third restaurant, in a ”soft opening” period. In the back helping him celebrate, Mr. Doyle said, were Sienna Miller, Rob Pattinson and Kristen Stewart, Paris and Nicky Hilton. “Rob and Kristen basically hosted my dinner and invited like 40 people, intimate, and most of them were Beatrice regulars,” he said. Odom has high praise for the movie’s stars, Stewart and Pattinson — a real-life couple and fodder for the tabloids. Weinberg agreed that the actors were not egotistical. 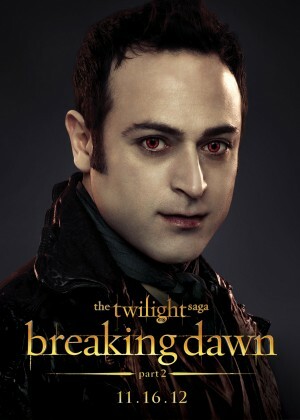 Odom, a self-confessed “hopeless romantic,” says he believes the appeal of the “Twilight” series is its timeless romance element — and the chemistry between Stewart and Pattinson made it a hit on-screen. "Kristen and Rob are incredibly cool, they deal with things in quite an admirable way, I think. "People forget how daunting that kind of attention can be ... I don’t know if [staying out of the limelight outside of films] helps or hinders them, it’s such a personal choice and there’s no right way or wrong way. "What I love about them is that they tend not to comment on anyone else's private lives and that’s why people who work with them don’t comment on theirs." And while there were fans queuing outside the set to see the pair during filming, MyAnna says their fame was never an issue on set - or even mentioned. She said: "I can’t remember anyone talking about it ... it was never an issue on set, no one could get on set! You had to have special access – it was like Fort Knox. "We had a few people queuing outside who had placards telling us that we were doing the ‘devils work’, so that was kind of interesting… but the majority of fans are just so lovely." 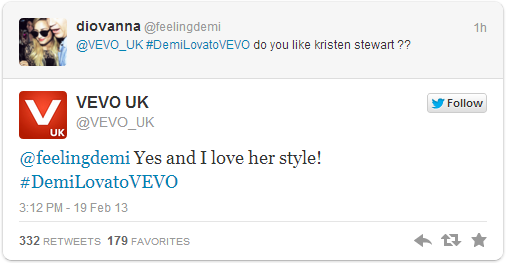 Demi Lovato gjorde en twitter Q&A för Vevo_UK. How much of your own driving did you do? I don't do as much driving as Garrett. He was amazing - he bought one, a Hudson. So he knew everything about these cars, he was an excellent driver. I needed glasses, which I didn't tell anyone about! And one day they put Eric in the middle of the road with the camera and said, "Drive as fast as you can, and stop as close to the camera as you can." I was sat next to Kristen, and... I don't remember. He was just a dot and a blur, until we got quite close. After the take, Kristen was like, "Wow, you loved that! Dude, you had your face right up against the windscreen!" And I was like, "Yes, because I couldn't see a thing!" Was it strange that Kristen was in and out of the shoot? Yeah, but she was there for the first three months. It was strange with the other people. I finished a day after Garrett, but we were there from the very first day of Boot Camp to the very last second of wrap. And on the way, people came and went the whole time. Steve Buscemi was there for a week. Kirsten Dunst would be there, then she'd go, then she'd come back. Same with Viggo Mortensen. We just kept travelling around America, and people would come and work. 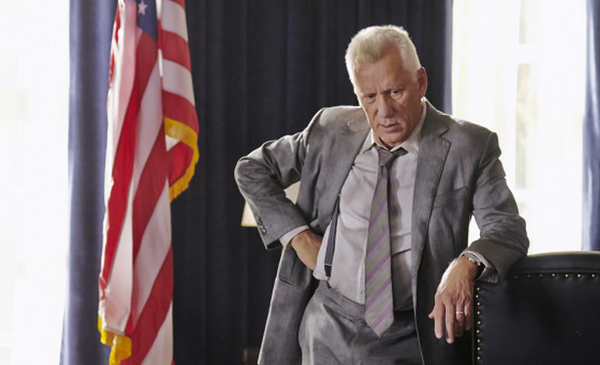 And I'd never seen America either, really, so that worked for my character, to see all these things for the first time.